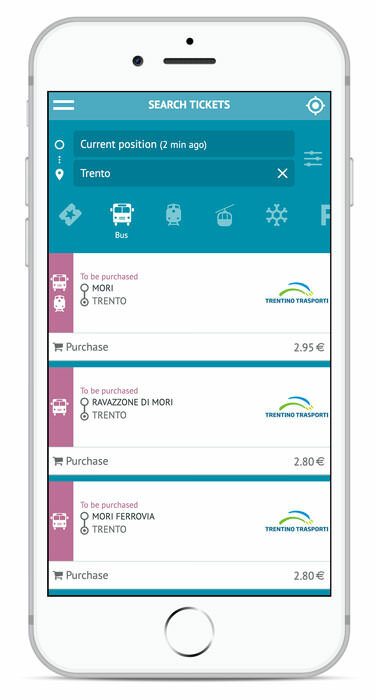 OpenMove app shows in the “Search tickets” section the tickets to be purchased based on the last known position of the user. With the button you can update your position, which will be set as origin, filtering the available tickets for that specific geographical area accordingly. In this section you can also change the origin and destination you want by clicking on one of the two fields and typing a location, a city or an address. The displayed tickets will line up with the user’s choices. 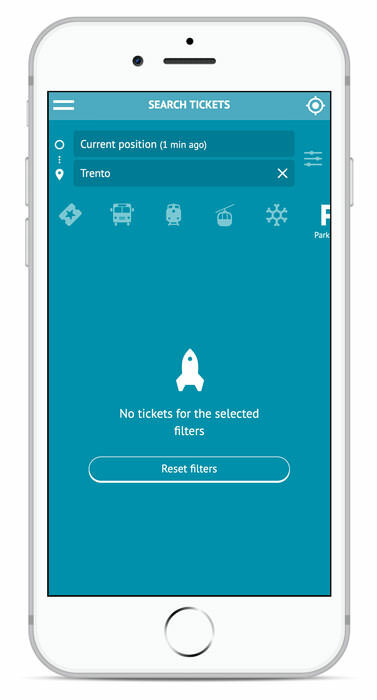 The button allows you to further filter the tickets according to the type of means of transport, by clicking on the desired category. To reset the filter, you can click on the first icon on the left, the “All” icon, or, in case of no results, the “Reset filters” button. At the bottom of each ticket, there are the actions available for that specific ticket, in this case the purchase. 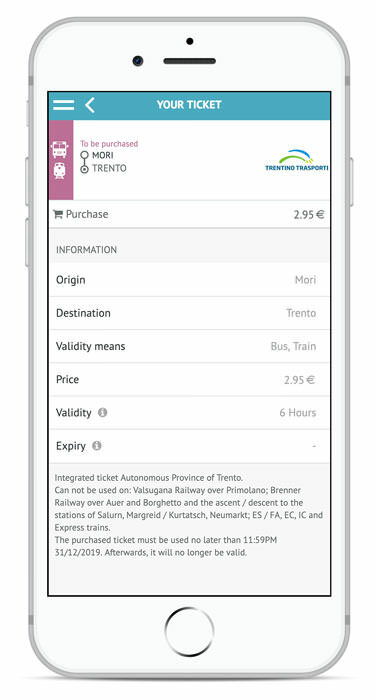 By clicking on a ticket, it is possible to view the detailed information of the ticket. A purchased ticket contains, within the detail page, a QR Code, which can be enlarged by clicking on it, to be shown at the time of the check by the dedicated personnel.